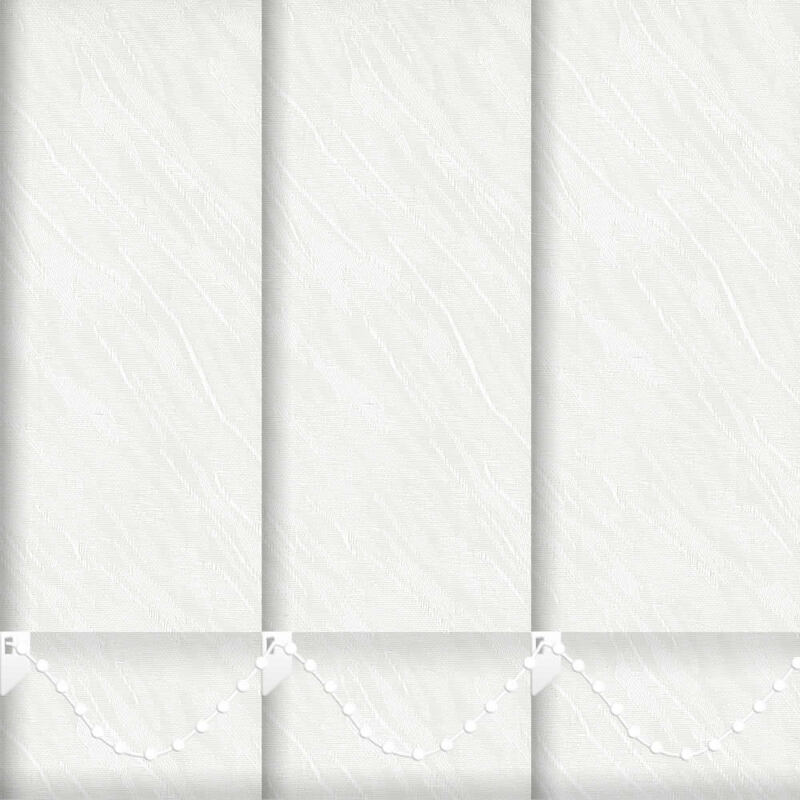 With their textured and embossed design these quality made to measure patterned white vertical blinds are a fabulous way to dress any window. They are also available at cheap online prices making them ideal if you are looking to grab a bargain. 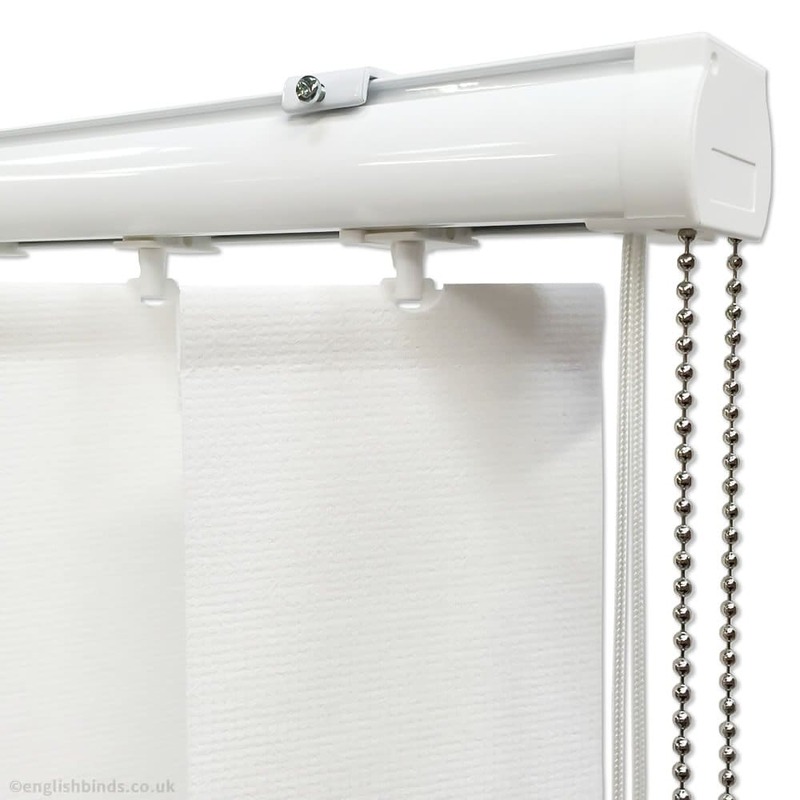 Really pleased with the blind we ordered for the bathroom, fits well and looks great. 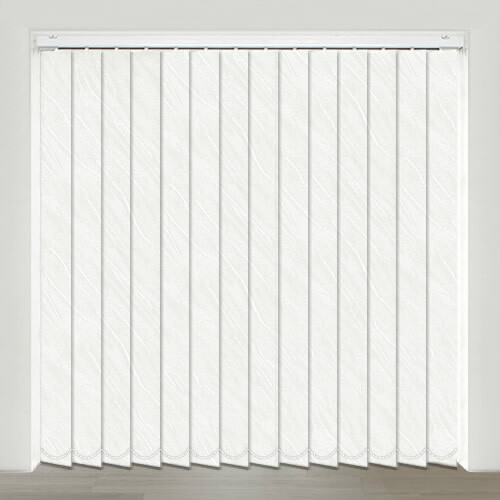 Excellent service, this is the second time we have used you and on both occasions the blinds fitted perfectly and delivery was in the allotted time. Really good choice of fabrics and colours. 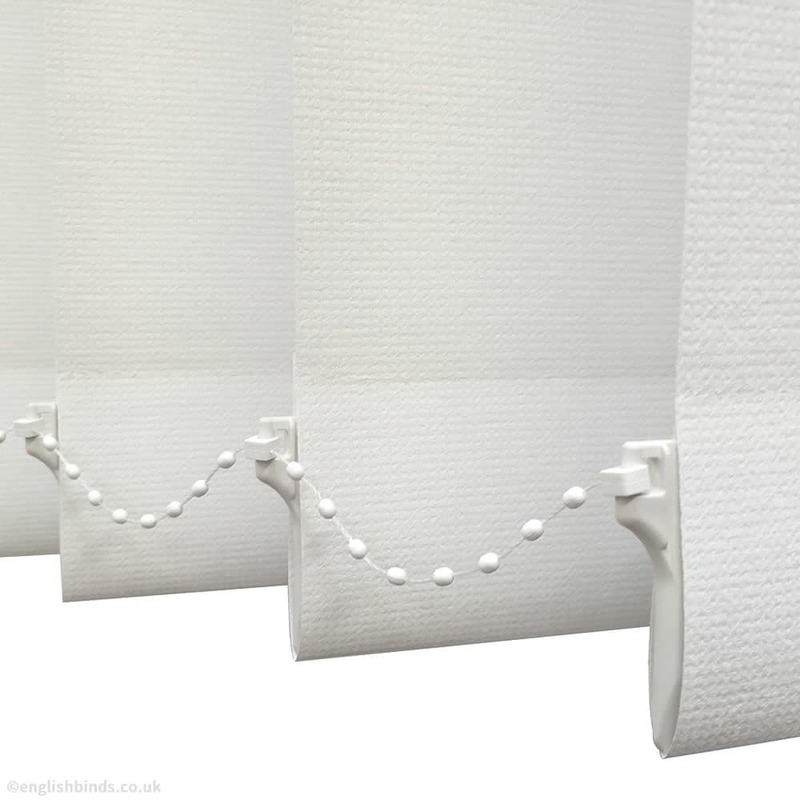 English Blinds make the order really simple and help with working out how to measure the window for a made to measure blind. Really pleased with everything. 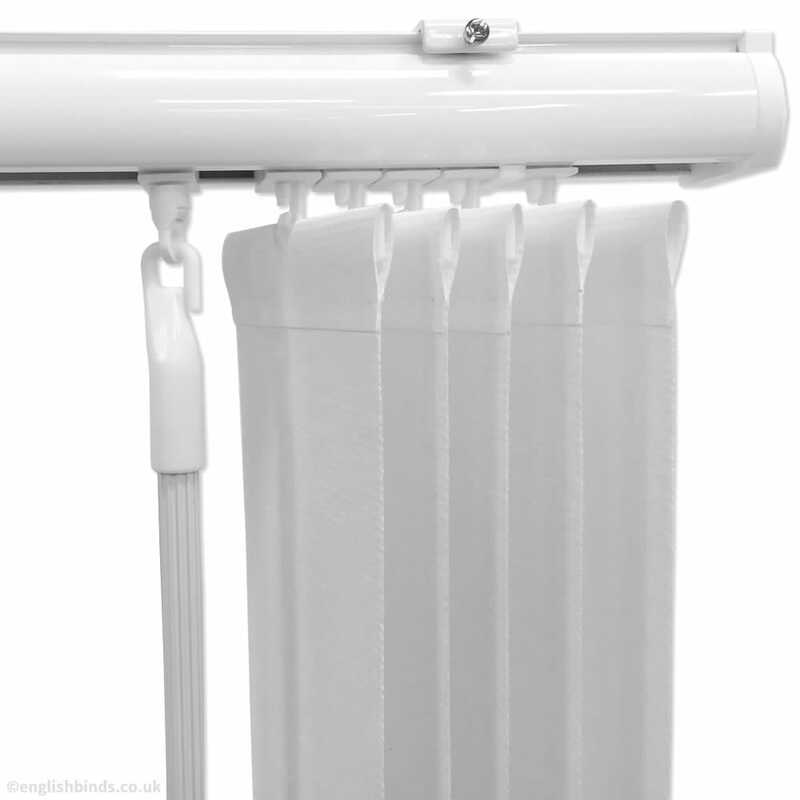 Easy to order with the measuring guide and when the blind arrived it was very easy to put up and it fitted perfectly. 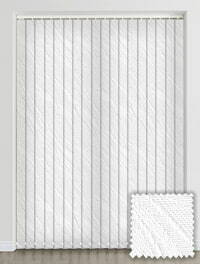 Very high quality fabric and fittings as well but not a high price. The blind looks lovely in the kitchen and I would highly recommend English Blinds to anyone. Would definitely buy again.